Catherine Corless has been haunted all her life by childhood memories of the skinny children from the local Catholic home for unmarried mothers and their babies in the small cathedral town of Tuam in the west of Ireland. Known locally as the home babies, the children lived in secrecy behind the dark, high walls of the home run by nuns from the Bon Secours order. Some of them attended the same school as Corless, but they were kept apart from the other children. Once, egged on by classmates, Corless played a trick on one of the home babies, handing over what looked like a sweet but was in fact only an empty wrapper. "I'm so sorry for that. It's stuck me with, that memory. It was only later I thought 'that poor child never got a sweet, they would have loved a sweet'," Corless told Reuters in an interview at her home in the countryside outside Tuam. Now a grandmother and amateur local historian, Corless has spent years painstakingly researching records to discover what happened behind those high walls, where unmarried pregnant women were sent to have their babies in secret. Alone, often met with silence and obstruction from Church and state bureaucracies that held long-forgotten records, Corless eventually exposed the existence of a mass grave of babies and toddlers in a sewer on the grounds of the home. The discovery, confirmed last week by the results of archaeological excavations, has horrified Ireland and caused a new wave of soul-searching about how women and children were treated at Catholic institutions in the past. "The recent horrifying revelations of a mass grave of babies in Tuam, discovered as a result of the relentless work of local historian Catherine Corless, often impeded, rarely assisted, is another necessary step in blowing open the locked doors of a hidden Ireland," said President Michael D. Higgins on Wednesday. Born in 1954, Corless grew up on a farm near Tuam, worked as a typist-receptionist as a young woman, then married and raised her four children at home. In the 1990s, she became interested in local history and took a part-time course on how to conduct historical research using primary sources. In 2012, she offered to write an article for a local journal on the mother-and-baby home about which very little was known. At first she tried archival newspapers, but all she could find were advertisements tendering for child-sized coffins for the home. There were precise size specifications and the coffins were required to have brass handles and a brass crucifix on top. "That got me thinking, there must have been a lot of deaths in the home if they were putting out tenders for coffins every six months," said Corless. The breakthrough came when she obtained the death certificates of all the children who died at the home. She had no idea how many there would be. When the answer came, she was stunned: in the 36 years the home was open, from 1925-1961, 796 children died. "It was like a bolt of lightning. It just went through me. Is that possible?" said Corless, describing that moment. There was no trace of those children in any of the local cemeteries, and no written records of their places of burial. Government records show that in the 1930s-1950s more than one in four babies born out of wedlock in Ireland died, a rate more than five times that of children born to married parents. The records do not show how many children were living in the Tuam home at any given time, but suggest mortality rates that were even higher. In 1947, 49 babies were born in the home and 30 more admitted under the age of one. Forty-six children died there, most before their first birthday; the oldest was three. The vacant home was demolished in the 1970s. A housing estate was built in its place, with a large playground tucked away behind some of the back yards. It had long been rumored locally that there was an unmarked children's graveyard on the site, and a grassy corner near the playground had been tended for years by residents who installed a small grotto with a statuette of the Virgin Mary. By comparing old and new maps of the site, Corless established that the mysterious, informal children's graveyard was located in the same place as a very old sewage tank. Her research was published locally, and eventually made national and international headlines in 2014, causing widespread revulsion and prompting the government to set up a commission of inquiry into the Tuam home and 17 other mother-and-baby homes. So far, there have been two test excavations at Tuam and only a sample of remains were recovered for analysis. They were found to range from 35-week-old fetuses to three-year-old children. "It's only the start. They have to find out. Are they all there?" said Corless. "They have to be counted if it's possible, because if they're not all there the question remains: where are they?" Since her research became public, Corless has been contacted by more than 100 people with connections to the home, and has helped some of them locate long lost relatives or the graves of mothers who were forced to part from them when they left the home. "I'm here for them. I'm happy I can help them. A lot of the time it's just a grave I find for them, a mother's grave. My work continues. I have a box of files of people who are looking for help," said Corless. She said many of the siblings of the lost babies wanted them re-interred in a consecrated graveyard. "They want a place to come to visit. It's hard for them to come in there and stand over a patch of ground in the middle of a housing estate and pay their respects." Real IRA Leader Michael McKevitt had appealed over a civil court finding against him. 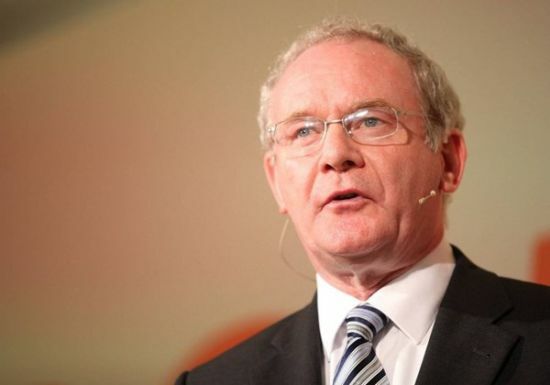 A bid by two republicans to overturn a landmark civil ruling that found them responsible for the Omagh bomb has been rejected by the European Court of Human Rights. 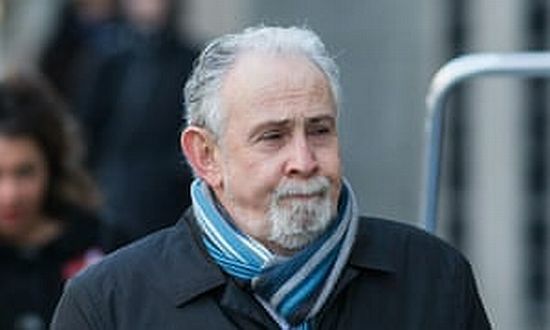 Convicted Real IRA chief Michael McKevitt and Co Louth man Liam Campbell were two of four republicans ordered to pay £1.6 million in damages to bereaved relatives who took the historic case. The Real IRA outrage in the Co Tyrone market town in August 1998 killed 29 people, including a woman pregnant with twins, and injured 200 others. 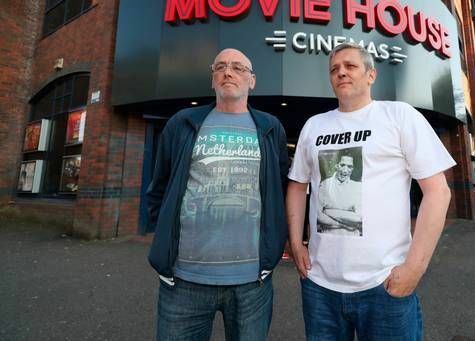 The pair took their case to Europe, arguing that the civil trial in Belfast High Court had been unfair. They said the judge should have applied a criminal rather a civil standard of proof, due to the severity of the allegations, and further claimed that the evidence of an FBI agent heard during the trial should not have been admitted. The seven ECHR judges unanimously rejected the case and made clear their decision was final. "The applicants had not demonstrated that their trial was unfair, and the Court dismissed their applications," said an ECHR statement. 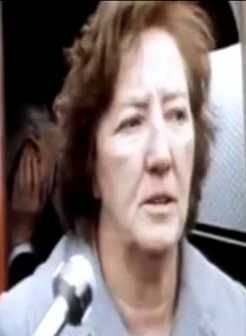 McKevitt was jailed for 20 years in August 2003 after being convicted of directing a terrorist organisation and being a member of the Real IRA. The ECHR case was the latest in a series of separate legal attempts by the four defendants to overturn the 2009 civil judgment. The relatives who took the action are still pursuing the damages. 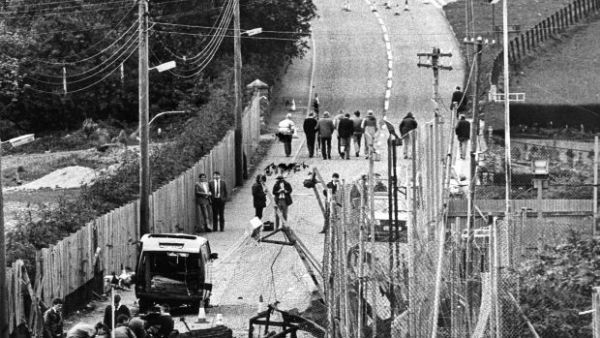 No one has ever been criminally convicted of the bomb, which inflicted the most bloodshed of an single atrocity during the Northern Ireland Troubles. One of the key witnesses in the families' case was FBI agent David Rupert, who had infiltrated the Real IRA. He did not attend the trial in person due to concerns about his security and medical condition. McKevitt and Campbell argued that their lawyers' inability to cross-examine Mr Rupert had been unfair. The ECHR dismissed this argument, insisting the trial judge had taken the "appropriate safeguards and considerations" in dealing with the evidence of an absent witness. The applicants also claimed the judge should have applied a criminal standard of proof - beyond reasonable doubt - rather than a civil one - balance of probabilities - due to the severity of the allegations facing them. The European judges said that was not necessary because the proceedings had been for a civil claim for damages and there had been no criminal charge involved. Rejecting both grounds for the application, the ECHR said: "The Court found that the national court's findings could not be said to have been arbitrary or unreasonable." 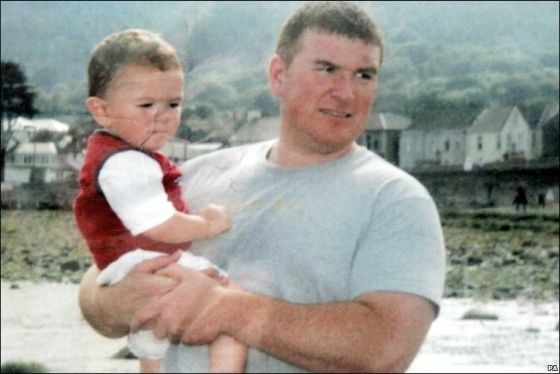 Michael Gallagher, whose son Aiden was killed in the bomb, described the ruling as "vindication" for the families. "We feel like we have been under siege since the first judgment, with appeal after appeal," he said. "We are relieved it is now over. The families have been vindicated. "Enormous expense has been paid by taxpayers to make sure these people got the best of British and European justice. 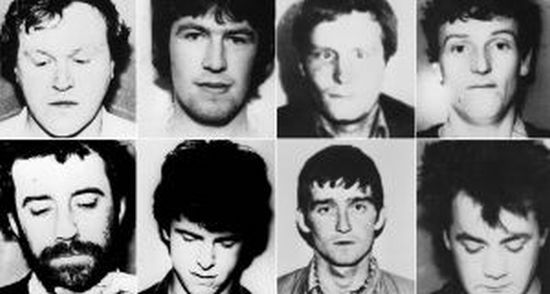 The British and Irish Governments must now make sure the interests of the victims comes first." He said the authorities had to help the families recover the money owed to them. "It would be a very hollow judgment if it was only words," he said. "These people value money and it's where it can hurt them and both governments must work together to make sure the families receive the money that was awarded to them." 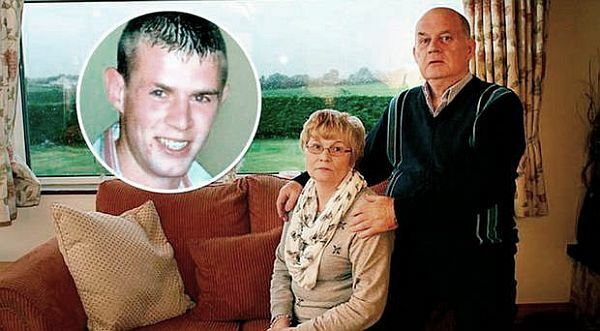 Mr Gallagher made clear the bereaved relatives would continue to campaign for a full cross-border inquiry into the Omagh bombing, amid persistent claims the outrage could have been prevented. Diane Dodds, Democratic Unionist MEP, said it was unfair that the men had access to legal aid to fight their case in Europe and branded it an abuse of human rights laws. 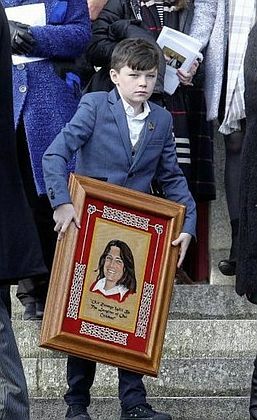 "The reality is whilst these individuals had full access to legal aid during the appeal process, the families of those murdered in the Omagh bombing have not received a single penny from the civil ruling," she said. "Innocent victims are tired of these double-standards."